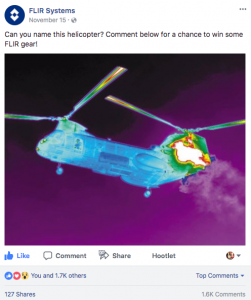 FLIR continued to see major growth on social in 2017; we not only created amazing content throughout the year, we forged amazing relationships that led to historical achievements in the world of thermal. FLIR teamed up with close partner MoviTHERM to facilitate the first live concert performance using FLIR Midwave Science Cameras. 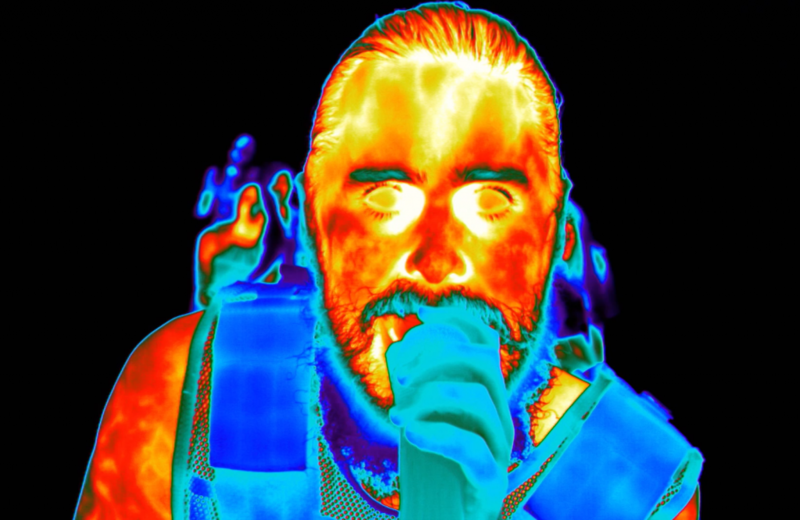 Thirty Seconds to Mars frontman Jared Leto reached out to FLIR and MoviTHERM to realize his vision for the band’s performance at the MTV Video Music Awards in Los Angeles. 5.4 million viewers watched the show live, bringing the largest single audience to the technology. I worked on site with MoviTherm and the performance’s creative director to realize Jared’s vision. In addition, I worked with the band’s team to coordinate a social campaign following the performance that garnered the largest engagement we’ve ever experienced as a brand. Jared and his team were great to work with, and I’m really proud of the end result. In June, USA Today’s VRTually There reached out to us about using a FLIR Midwave Science Camera for a segment on the largest bat colony in the world. I went down with the FLIR A8303 Science Camera and worked with the technical team to implement a thermal view in their 360º video. The end result shows you bats like you’ve never seen before! In late 2016, we launched a new educational series we titled “Invisible Labs with Craig Beals,” and this summer we headed back out to Billings, Montana and filmed a whole new season of the program, which opens with a bang. 2017 also marked a new original content collaboration with Jason Cameron, HGTV host; we produced a handful of segments on location at a job-site in New Jersey to raise awareness around the newly released FLIR ONE Pro. I continued to work to identify opportunities for FLIR with YouTube creators, and we saw more creators using FLIR to tell their stories. Notables from 2017 include Jake Roper from VSauce3, and a few amazing videos from EngineeringExplained! In 2017 we saw a 46% growth in our social audiences across all channels, with the largest percentage growth on Instagram at 140%. We averaged around 1400 pieces of content a quarter throughout 2017 across all social channels, up 28% year-over-year. This increased cadence definitely played a factor in how engaged our audience was with over 20K comments, up 65% from the previous year. So what’s coming up in 2018? We’re going to be producing some exciting content on the ground at CES in January, so stay tuned for some more awesome from FLIR Social.